will be held this year in Arrowtown on Sunday 21st October. This year being the 150th year since gold was discovered using the humble gold pan, the OGHT has been travelling the region teaching gold panning techniques to school children so they can take part in this years new Schools section. For 2012 we have special awards to celebrate this milestone which will be awarded to new teams competitions between local towns, fire brigades and indiviuals wanting to try there luck and just have a go. Everyone is encourged to take part and entry forms will be on this site soon. 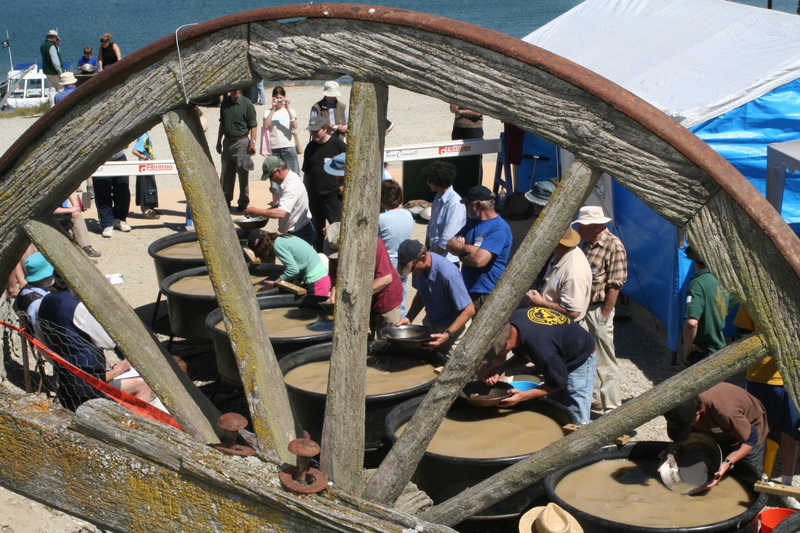 There is no better time to start gold panning than this year – so pick up a pan and we hope you strike it rich! New to Gold Panning sports? basically you are racing everyone else in your heat to be the first to retrieve all 5-12 flakes of gold that have been pre counted and added to your bucket of gravel. Championship Categories include: Open (anyone), Ladies, Men’s, Veteran (over 60 yrs) (Bring your own regulation conforming pan). New Zealand Classic: Open to anyone (must use our ‘traditional’ pans). YOU MAY ENTER TWO CHAMPIONSHIP CATEGORIES AND THE NZ CLASSIC. Teams Event: (3 people per team, any age, male or female). 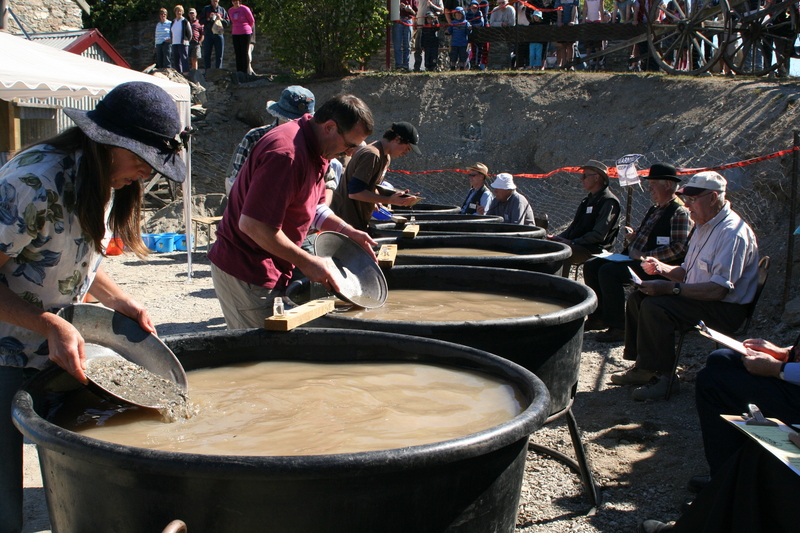 Gold Panning is one of the few sports where men and women and a wide variety of ages can compete in the same category (open, above). Last year the open champion getting $1000 towards her trip to compete in Australia was Queenstown teenager Amelia Gatward-Ferguson. See here for the full story. Want to know more? Post a question below or contact us directly. Click here to download the official rules.